One key element to personal branding is knowing your own personal traits, skills and accomplishments. Once you’ve done that self assessment, you need to leverage that package into something that can create opportunities and revenue for yourself. Celebrities do this extremely well. Here is a small list of celebrities that have leveraged their traits, skills and accomplishments (lets not forgot fame) into something of monetary value to themselves. 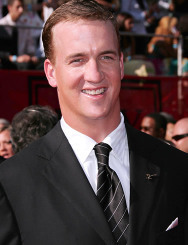 Peyton Manning. He’s a record holder (most TD passes in a season, passer rating, passes completed, etc. ), a winner (Superbowl XLI), and a man with strong character (no suspensions or arrests and strong community involvement). He’s leveraged this into many endorsement deals including Reebok, Gatorade, DirecTV, Sprint, etc. 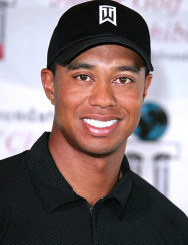 Tiger Woods. He’s a winner (13 majors), he’s humble (doesn’t talk trash), and has a great story (Dad was a retired U.S. Army Lieutenant, of mixed descent, began playing golf extremely young, etc.). He’s leveraged this into many endorsement deals including Nike, Buick, American Express, Accenture, etc. What if you aren’t naturally gifted like these athletes? She’s not the funniest person, nor the prettiest, but she faced the facts and grew her personal brand in spite of those obstacles that many celebrities face. There are plenty of other celebrities that understand personal branding and playing to their own strengths. The question is not, how can I become like Kathy Griffin? Society already has a Kathy Griffin. She fills that niche and plays to her audience well. The question is, how can I learn from these examples to further my brand? If you can, you’ll be rewarded with better opportunities and wealth from doing so.